Yoga is incredibly popular today, and for good reason. 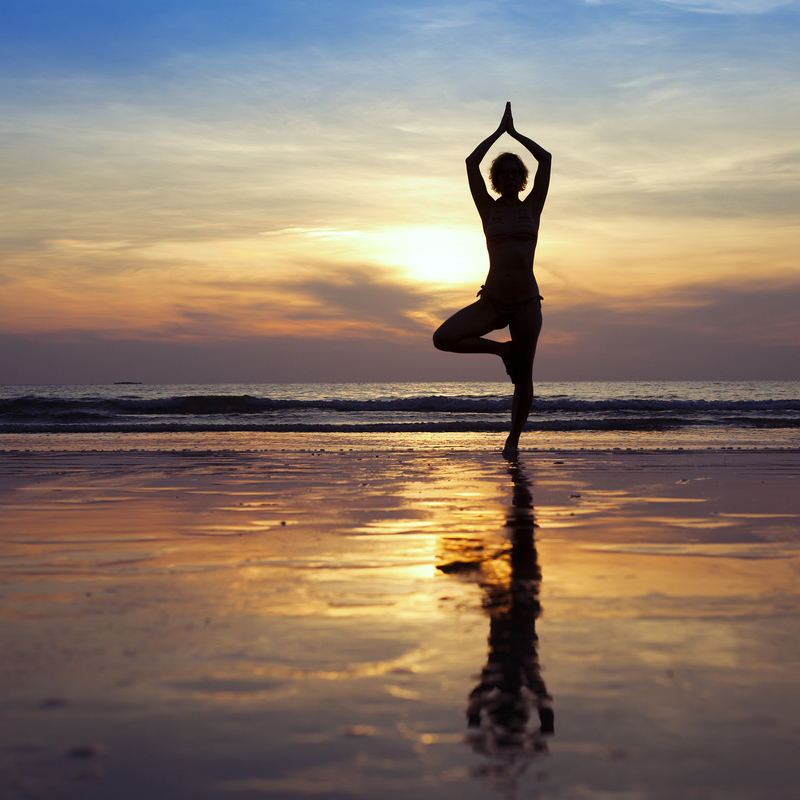 There are many benefits to practicing yoga that extend beyond the physical. While most people know yoga can be a great way to get in shape and stay in shape, it also holds many benefits for your mental health, mood, and stress levels. All of these things play important roles when it comes to your self-confidence levels, and self-confidence can have a tremendously positive effect in anyone’s life. If you have never tried yoga, consider a few of the following confidence-building techniques you can learn through yoga and see if it’s right for you. Yoga focuses on stretching the body in various poses that encourage blood flow and proper breathing. While it may seem daunting to some people to sign up for a yoga class, you can start on your own at home easily with internet tutorials. Yoga isn’t very expensive, and you can start with just a basic yoga mat in your own home until you’re ready to join a class. Over time, you will begin to notice better muscle definition, less body fat, and higher energy levels. If you already do cardiovascular exercise and strength training on a regular basis, yoga can be the perfect warm-up and cool down. Most people stretch before vigorous physical activity, and yoga can help you stretch while also getting you into the right frame of mind for your workout. It’s also important to cool down after an intense workout, and yoga can be the perfect way to unwind while encouraging muscle growth. It’s no secret self-confidence and physical fitness have close links. In general, people feel better about themselves when they look good. It’s easier to have confidence in yourself when you’re happy with your appearance. Yoga not only enhances the exercises you do, but can also improve your mood and state of mind so you feel more fulfilled after every workout. Raising self-awareness is another fantastic benefit of yoga. “Mindfulness” is the concept of staying in touch with your body and your feelings. Many yoga practitioners find that yoga sessions naturally encourage mindfulness. To get the most out of a pose, you must carefully pay attention to the position of your body and control your breathing. This naturally encourages mindfulness, and many people consider yoga a likely segue into meditation practice. Mindfulness meditation can help reduce stress levels and provide clarity, especially when life is stressful. A yoga session can be exactly what you need after a long day at work or a stressful family gathering so you can decompress in a healthy way. Having the ability to balance yourself is beneficial to your self-esteem levels, and many people find that meditation improves focus, and subsequently boosts self-confidence. It does not matter how hard or how frequently you work out; you will have much better results if you have self-confidence and a clear mind during your workouts. Healing through yoga is possible for both your body and your psyche. When you practice mindfulness in your daily life, you will begin to learn how you handle different situations, and this naturally improves your self-confidence. Over time, yoga can become the transition from your exercise sessions back into daily life that keeps you balanced and focused for whatever lies ahead. Many people assume yoga is more of women’s activity, but anyone can benefit from yoga. Yoga stretches the body and teaches practitioners new ways of controlling their bodies. This naturally improves flexibility, and can be a perfect type of exercise for people who have suffered serious injuries or who want to make changes in their lifestyles. Improving your flexibility with yoga may eventually open other doors for you to explore in terms of physical fitness and the fulfillment you feel in everyday life. Once you improve your flexibility with yoga, you might feel ready to take on new challenges and explore new ways to work out while having fun. Have you always wanted to go rock climbing, but didn’t feel physically fit enough to do it? After practicing yoga for a while, see how far your newfound flexibility can take you. The rush and pride you will feel after conquering a new activity will do wonders for your self-confidence. Yoga focuses heavily on breathing, and learning how to control your breathing can have tremendous benefits on and off the yoga mat. As you practice yoga, you will become more aware of your breathing and learn how to control it to get the most out of your poses. Eventually, you may find yourself using the breathing techniques you’ve learned in yoga in other areas of life. When it comes to yoga for building self-confidence, the breath control you learn can help you find balance after a stressful day. Breathing is also a very important part of meditation, and you can meditate almost anywhere. Take a few minutes during your lunch break to meditate at your desk or on your office floor and enjoy elevated mood and reduced stress for your afternoon. A meditation session before you start your day can give you the confidence boost you need to perform at your best. Yoga is also a fantastic method for managing the symptoms of depression, anxiety, and other uncomfortable mental health issues. All of these mental health conditions ultimately impact your self-confidence levels, so it’s vital to give them the attention they deserve. Yoga can enhance the effects of counseling and therapy to provide you with deeper relaxation and a means of calming the nerves without resorting to potentially harmful medications. Yoga is not a replacement for mental health treatment, but it certainly provides tangible benefits for your mental health. It can be challenging to find the right way to begin a yoga practice, and many newcomers will feel intimidated by joining a yoga class. Some people benefit most by simply doing yoga on their own with internet tutorials in a personal space, while others feel more fulfilled by taking part in a larger yoga class. If you’re interested in a women’s yoga community, NamaSlayCrew is a community of badass chicks who promote self-love and girl power. We’re into yoga and feeling your best! Join the crew at www.namaslaycrew.com or follow us on social media. Eat. Pray. Slay!